Sleep apnea is a common disorder in which you have one or more pauses in breathing or shallow breaths while you sleep. In obstructive sleep apnea, the airway collapses or is blocked during sleep. If your doctor thinks that you have sleep apnea, he or she may schedule a sleep study. People usually aren’t aware of their breathing and movements while sleeping. They may never think to talk to their doctors about sleep- and health-related issues that may be linked to sleep problems. Sleep studies allow doctors to measure how much and how well you sleep. They also help show whether you have sleep problems and how severe they are. Sleep disorders also have been linked to an increased risk of injury due to falls and car accidents. Other medical conditions have been associated with sleep disordered breathing: heart failure, coronary heart disease (also called coronary artery disease), obesity, diabetes, transient ischemic attack (TIA, or “mini-stroke”). If you bed partner or you have noticed loud snoring, gasping, or choking sounds while you sleep or pauses in breathing during sleep. You often wake up during the night and then have trouble falling back to sleep, or you wake up too early and aren’t able to go back to sleep. How is a Sleep Study aka Polysomnogram (PSG) done? A PSG usually is done while you stay overnight at a sleep center. A PSG records brain activity, eye movements, heart rate, and blood pressure. Your doctor also may use a PSG to find the right setting for you on a CPAP (continuous positive airway pressure) machine. CPAP is the most common treatment for sleep apnea. What is a Split Night Study and/or CPAP titration? A CPAP machine uses mild air pressure to keep your airway open while you sleep. During the first half of the night, your sleep is checked without a CPAP machine. This will show whether you have sleep apnea and how severe it is. If the PSG shows that you have sleep apnea, you may use a CPAP machine during the second half of the split-night study. A technician will help you select a CPAP mask that fits and is comfortable. In some cases, this isn’t done all in the same night. Some people need to go back to the sleep center for the CPAP titration study. What To Expect Before a Sleep Study? Your doctor may ask you about your sleep habits and whether you feel well rested and alert during the day. You may be asked to keep a sleep diary or sleep log. You’ll record information such as when you went to bed, when you woke up, how many times you woke up during the night, and more. Notes from your sleep diary or sleep log. You may need to stop or limit the use of tobacco, caffeine and other stimulants, and some medicines before having a sleep study. The room the sleep study is done in may look like a hotel room. A technician makes the room comfortable for you and sets the temperature to your liking. Most of your contact at the sleep center will be with nurses or technicians. You can ask them questions about the sleep study. They can answer questions about the test itself, but they usually can’t give you the test results. Sticky patches and sensors called electrodes are placed on your scalp, face, chest, limbs, and a finger. While you sleep, these sensors record your brain activity, eye movements, heart rate and rhythm, blood pressure, and the amount of oxygen in your blood. Elastic belts are placed around your chest and abdomen. They measure chest movements and the strength and duration of inhaled and exhaled breaths. Wires attached to the sensors transmit the data to a computer in the next room. The wires are very thin and flexible and are bundled together so they don’t restrict movement, disrupt your sleep, or cause other discomfort. Once the sensors are removed after a polysomnogram (PSG) you can go home. You won’t receive a diagnosis right away. 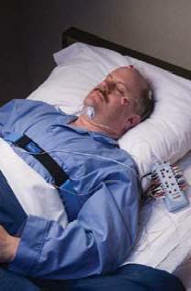 Your primary care doctor or sleep specialist will review the results of your sleep study or sleep studies. 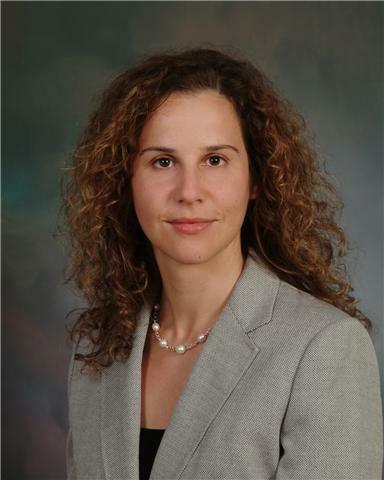 He or she will use your medical history, your sleep history, and the test results to make a diagnosis. It may take a couple of weeks to get the sleep study results. Usually, your doctor, nurse, or sleep specialist will explain the test results and work with you and your family to develop a treatment plan. There’s a small risk of skin irritation from the sensors. The irritation will go away once the sensors are removed.